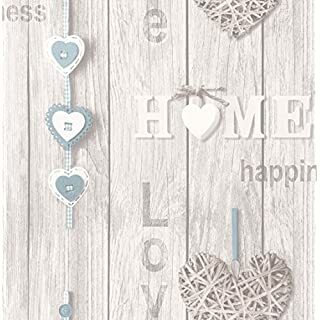 A beautiful shabby chic inspired wallpaperIdeal for feature walls and entire rooms10m (32.8 ft) long, 52cm (20.5in) wide53cm pattern repeatHalf drop pattern matchHigh quality wallpaperEasy to applyPaste the paper wallpaperWashableColour: Blue / Pale greyThis beautiful Love Your Home wallpaper features a shabby chic inspired design of craft style hearts and the words Happiness, Love and Home. They are set on a rustic wood panelled backdrop in neutral tones with elements picked out in blue for a splash of colour. 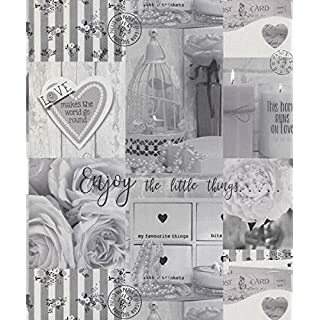 Easy to apply, this high quality wallpaper will look great when used to decorate a whole room or to create a feature wall. 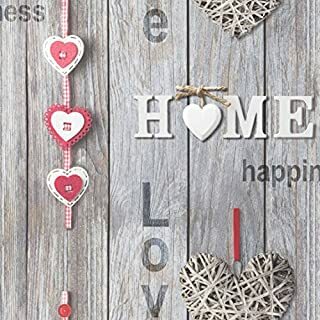 A beautiful shabby chic inspired wallpaperIdeal for feature walls and entire rooms10m (32.8 ft) long, 52cm (20.5in) wide53cm pattern repeatHalf drop pattern matchHigh quality wallpaperEasy to applyPaste the paper wallpaperWashableColour: Red / GreyThis beautiful Love Your Home wallpaper features a shabby chic inspired design of craft style hearts and the words Happiness, Love and Home. They are set on a rustic wood panelled backdrop in neutral tones with elements picked out in red for a splash of colour. 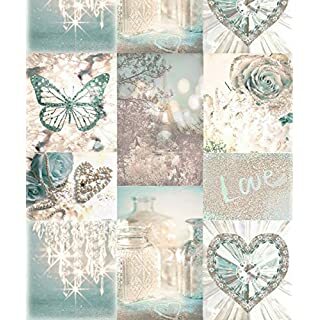 Easy to apply, this high quality wallpaper will look great when used to decorate a whole room or to create a feature wall. Glitter: Yes. Metallic: No. Substrate: Standard - Flat and Smooth. Roll Length: 10.0 m (33.0 ft). Roll Width: 53.0 cm (21.0 in). Application: Paste the Paper. Pattern Match: Offset Match. Pattern Repeat: 26.5 cm. Washability: Spongeable. 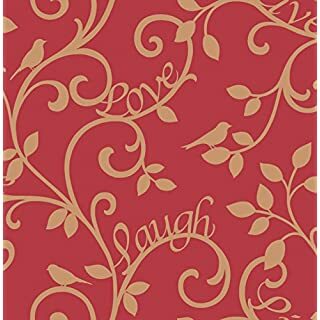 A beautiful new wall frames design from Muriva's design studios in the UK, Live Laugh Love's background features a beautiful cream wood effect panel with light beige love letter style calligraphy detailing. 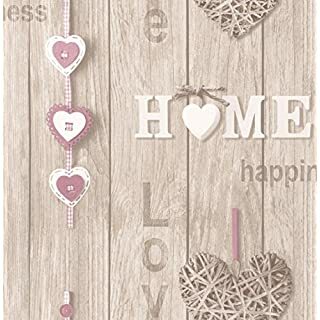 This subtle yet intricate background pattern is set off with shabby chic style picture frames and hanging hearts which are all set off with touches of colour to bring the design to life. This pattern is manufactured in France to superb standards. As well as being washable, this design is printed on a flat surface for a classic smooth finish. It has been designed to be simple to hang, is strippable and has satisfactory light fastness. 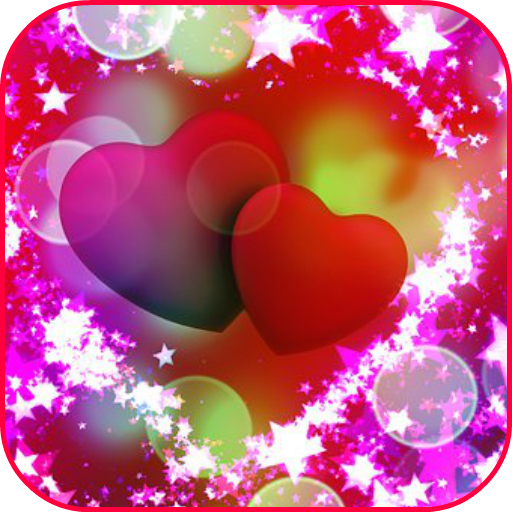 The product code for this wallpaper is: 131504. Glitter: Yes. Metallic: No. Substrate: Vinyl Wallpaper. Roll Length: 10.0 m (33.0 ft). Roll Width: 53.0 cm (21.0 in). Application: Paste the Paper. Pattern Match: Offset Match. Pattern Repeat: 26.5 cm. Washability: Extra Washable. 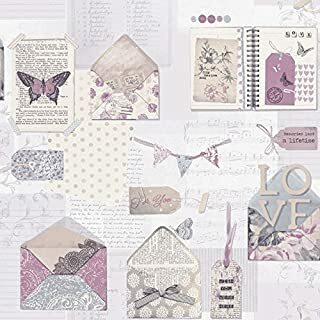 Love Letters is a delicate, intricate and simply elegant design. The pattern incorporates flowers, bird prints and calligraphy alongside geometric shapes into a patchwork creating a unique and fashionable wallcovering. This wallpaper is printed on a flat surface with a smooth finish and is spongeable. It has been designed to be simple to hang, is strippable and has good light fastness. 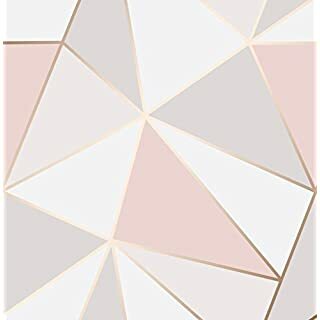 The product code for this wallpaper is: M0817. 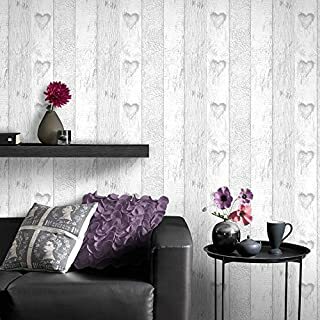 A beautiful shabby chic inspired wallpaperIdeal for feature walls and entire rooms10m (32.8 ft) long, 52cm (20.5in) wide53cm pattern repeatHalf drop pattern matchHigh quality wallpaperEasy to applyPaste the paper wallpaperWashableColour: Lilac / BeigeThis beautiful Love Your Home wallpaper features a shabby chic inspired design of craft style hearts and the words Happiness, Love and Home. They are set on a rustic wood panelled backdrop in neutral tones with elements picked out in lilac for a splash of colour. 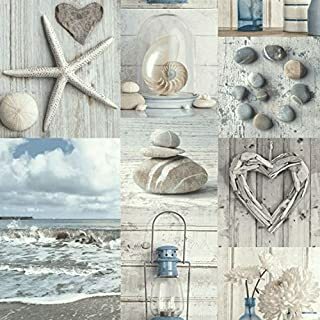 Easy to apply, this high quality wallpaper will look great when used to decorate a whole room or to create a feature wall. This fresh white plank wallpaper will add a beautiful effect to any wall, turning your house into a home and creating a very chic cosy room. 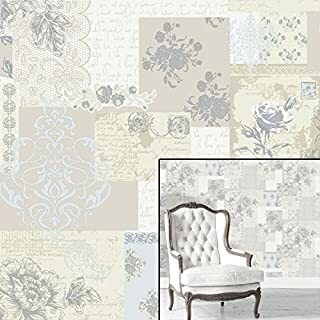 This modern wallpaper from the luxury by Fine Decor will fit perfectly in almost any room in the home, creating a modern and up to date style. With a funky abstract style, the design would give a fabulous finish to your room. 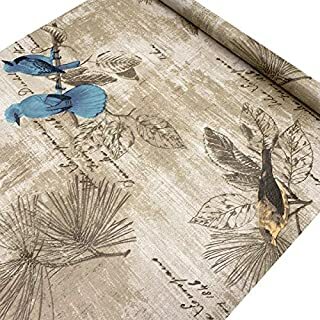 This wallpaper is suitable for all living areas, excluding the kitchen and bathroom.Each roll measures 33ft (10m) in length and is 21" (53.1cm) wide, and has a pattern repeat and match of 53cm, with an straight match.Full hanging instructions are supplied with each roll.Please order enough rolls to complete your job as batch numbers cannot be guaranteed on a subsequent purchase.Should you require a particular batch number, please contact us and we will always do our best to achieve this. 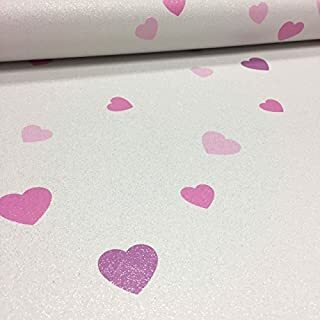 Exceptionally pretty love heart wallpaper designed by AS Creation, finished with a gorgeous glitter sheen that sparkles amazingly when the light catches it! Portrayed upon a white background with lush pink and purple enhancements... 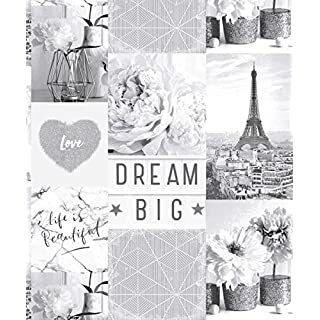 Ideal for a girl's bedroom or as part of a feature wall! How to apply: Paste the wall. Classification: Washable - Peelable - Good colour fastness - Glitter - Textured vinyl material. Roll size: 10.05m x 0.53m - Pattern repeat: Straight match. 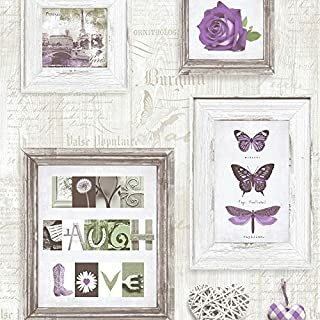 The Imagine Fun collection from Arthouse offers all styles of children's decor from classic retro designs to more modern photographic, on-trend themes. The collection covers an array of themes for both boys and girls from toddlers to pre teens. 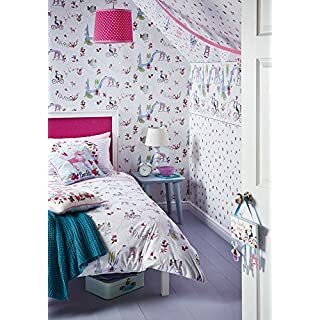 Creating cosy, inspirational bedrooms, Imagine Fun 2 gives the freedom to personalise space.This wallpaper is suitable for all living areas, excluding the kitchen and bathroom.Each roll measures 33ft (10m) in length and is 21" (53.1cm) wide, and has a pattern repeat of 53cm with an offset match of 26.5cm.Full hanging instructions are supplied with each roll.Many designs include an encased glitter technique.Please order enough rolls to complete your job as batch numbers cannot be guaranteed on a subsequent purchase.Should you require a particular batch number, please contact us and we will always do our best to achieve this. The Fine Decor Decorline Carousel Luxury Wallpaper Border is an easy way to add a dash of colour to your walls. This striking wallpaper border is sure to make a welcome addition to your home. 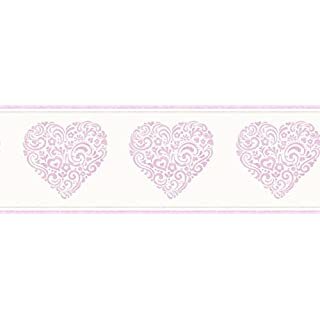 Features a beautiful floral and love heart motif design and is brought to life in a stunning pink metallic colour scheme set on a cream background to really make it stand out.The perfect way to make a bold statement. Perfect for use on a large wall area and makes a fabulous feature wall. How To Apply: Paste The PaperClassification: Washable, Good Lightfastness, Wet Removeable. Roll Size: 5m x 17.5 cm Approx. 0.88msq (9.48sq.ft) Paste Recommended: Ready Mixed. 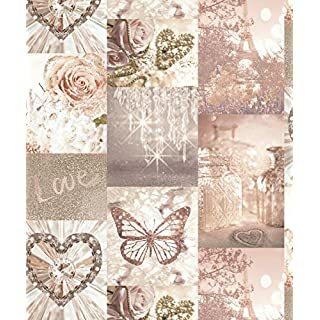 Colour: Cream/ PinkMaterial: PaperAlways read and adhere to the manufacturer’s labels for instruction.PLEASE CHECK FOR DEFECTS BEFORE HANGING WALLPAPER AS RETURNS CANNOT BE ACCEPTED ONCE THE PRODUCTS HAS BEEN USED.